We’d love your help. Let us know what’s wrong with this preview of Time To Let Go by Christoph Fischer. Following a traumatic incident at work Stewardess Hanna Korhonen decides to take time off work and leaves her home in London to spend quality time with her elderly parents in rural England. There she finds that neither can she run away from her problems, nor does her family provide the easy getaway place that she Time to Let Go is a contemporary family drama set in Britain. To ask other readers questions about Time To Let Go, please sign up. Beautiful story telling from Christoph. He tugged at my heart and delivered a tale that stuck with me long after I read the last line. It is a very emotional read and one that takes the reader on the journey that highlights the many facets of Alzheimer's. I've personally never been affected by the disease, but this novel made me feel like I experienced the hurdles along with Walter and Biddy Korhonen. A beautiful read that is heartbreakingly bitter-sweet. Superb writing. I've read Christoph Fischer 's trilogy of books so when I saw he'd released another I grabbed the chance to read it. A complete departure from his Trilogy subject 'Time To Let Go' has the same empathetic way of telling a story. The story portrays a family's way of dealing with what life sometimes throws at you. Each having their own way of coping. The mother in the story has Alzheimer's, which I have 1st hand experience with my Father. The authors touching way of describing an awful disease come I've read Christoph Fischer 's trilogy of books so when I saw he'd released another I grabbed the chance to read it. A complete departure from his Trilogy subject 'Time To Let Go' has the same empathetic way of telling a story. The story portrays a family's way of dealing with what life sometimes throws at you. Each having their own way of coping. The mother in the story has Alzheimer's, which I have 1st hand experience with my Father. The authors touching way of describing an awful disease comes from a knowledgable direction. The feelings described from each of the characters are very true to life. The daughter has her own story that runs alongside and I enjoyed the 2 story lines intertwining. Kindle freebie about living with loved one with Alzheimer's disease. It recounts the tale of a somewhat dysfunctional British family where the mother has mid-stage Alzheimer's and the stresses and regrets as well as the resentments and isolation that can occur. Very good telling. A very good story presented by Hanna, a young women at an involuntary crossroads in her career at He 40, and Walter an aging man who is having a new career caring for his aging wife as she goes through the stages of Alzheimer's disease. I enjoyed observing Hanna trying to help her dad and caring for her mother with compassion and patience for both of them. also the distinction so rampant in most families even though the parents have done all.in their powers to bring up their children with the bes A very good story presented by Hanna, a young women at an involuntary crossroads in her career at He 40, and Walter an aging man who is having a new career caring for his aging wife as she goes through the stages of Alzheimer's disease. I enjoyed observing Hanna trying to help her dad and caring for her mother with compassion and patience for both of them. also the distinction so rampant in most families even though the parents have done all.in their powers to bring up their children with the best of intentions and having three children with completely different views of the experiences they had. learning of the progression of Alzheimer's and the effect of.it on everyone touched close to home. At first, I was hesitant to read this book. I wasn't sure I wanted to watch someone deteriorate as Alzheimer's claims progressively more of their independence, self-awareness, and memories. But I shouldn't have worried. True to form, Fischer handled the subject with his characteristic deftness, sensitivity, and balance. Telling this story was indeed a balancing act. The story revolves around the Korhonen family. Biddy is the matriarch in the middle stages of Alzheimer's. Walter is the long-suffer At first, I was hesitant to read this book. I wasn't sure I wanted to watch someone deteriorate as Alzheimer's claims progressively more of their independence, self-awareness, and memories. But I shouldn't have worried. True to form, Fischer handled the subject with his characteristic deftness, sensitivity, and balance. Telling this story was indeed a balancing act. The story revolves around the Korhonen family. Biddy is the matriarch in the middle stages of Alzheimer's. Walter is the long-suffering husband determined to care for his wife at home and not miss any of the remaining periods where the wife he knew briefly re-emerges from her illness. Hanna, their daughter is seeking refuge in her parents home from a work incident that left her shaken. We also see brothers Henrik, the highly successful son who never quite measures up and is always in an unspoken competition with Patrick, for whom everything comes easily. Patrick, highly successful in every endeavor, lives cut off from his family, harboring a secret that will only hurt his father. It became apparent early into the story that Fischer had meticulously researched his subject. While Alzheimer's was the central issue of the book, the title said as much, if not more about the rest of the characters. Each of the Korhonen's must face up to, and accept that there are things holding them back in life. Peripheral characters play primary roles in both Watler's and Hanna's ultimate decisions about their lives and what they need to do. A family that is already partially fractured becomes more so as they each have their own ideas about how to handle Biddy's illness. Their ideas frequently clash with what Walter's wants for his wife. We see Walter's internal conflict over how much of his wife's tasks he has had to take over as her illness progresses. We are also witness to his frustration as it boils over when he occasionally runs out of patience. The story took me back to a time when one of my sister's in-laws were dealing with a form of dementia (I forget what specifically). I remember hearing the pain in her voice as she told me what they were going through. There was nothing I could do but express my love for her and offer my shoulder and ear when ever she needed. Time to Let Go resonated with me for that reason. I've come to realize Fischer doesn't tackle easy subjects, yet what he chooses to write about is always worth reading. Writing from the family level of dynamics takes his books to a personal level that requires the reader to embrace the story and empathize with his characters. It's easy to understand Walter's reasons for wanting to keep his wife home for as long as possible. I can't imagine what it must be like to see the person you've shared your life with slowly and irretrievably lose pieces of themselves. As with his Black Eagle Trilogy, this was not an easy nor comfortable read. I do feel this is a book that should be widely read. As society becomes ever more entrenched in technology, we lose those interactions that preserve our very humanity. We need books such as this in order to retain and remain aware there are those who need the strength that comes from personal connections, because someday, we may be that person and have no one to whom we can turn. Those who are familiar with Christoph Fischer's work will not be surprised that his new book, A Time To Let Go, is another poignant, thoughtful, and engrossing examination of that most complex structure, the family. The flame of kinship draws each member closer in desperate need of its warmth, even though getting too close can be devastating and sometimes dangerous. Time To Let Go is a contemporary novel set in England and its protagonist is Hanna, a career flight attendant, who finds herself on Those who are familiar with Christoph Fischer's work will not be surprised that his new book, A Time To Let Go, is another poignant, thoughtful, and engrossing examination of that most complex structure, the family. The flame of kinship draws each member closer in desperate need of its warmth, even though getting too close can be devastating and sometimes dangerous. Time To Let Go is a contemporary novel set in England and its protagonist is Hanna, a career flight attendant, who finds herself on an indefinite leave of absence due to an in-flight incident not of her making. To escape the scrutiny of the press, Hanna spends time with her parents, but it's like jumping out of the frying pan into the fire. Comfortably retired now, Hannah's dad Walter has always prided himself in leading an ordered, disciplined life. And he has always been, and still is, deeply in love with his wife Biddy. But he's losing her, bit by bit, day by day, to Alzheimer's. Try as he might, and boy does he try, he can't control this. The family thinks its time to put Biddy in a supervised care facility and they try to convince Walter that it's time to let go. Walter adamantly refuses. It is against this scenario that Hannah must reevaluate her life. Her job of hopping around the globe has made it near impossible to develop and maintain longterm romantic relationships. Now it seems she is being forced to make decisions, both with her career and her family, and she's not happy about being put in this position. Hannah is a character that we grow to love and root for. Fischer does not throw her at us. He draws us into her life and plight in small bites that become increasingly irresistible. She's painfully real, just like us. If you are a 'senior' like me, the prospect of developing Alzheimer's is both frightening and haunting; what are we besides our minds? If you're younger and see loved ones embarking on that misty and ever darkening path, it's frightening in other ways, especially if you're the designated caregiver. In the hands of a less gifted writer than Mr. Fischer, this story could become morose and brittle. It is neither. Instead, this achingly beautiful swan song is honest, poignant, and ultimately uplifting. It reminds us, in his trademark style, that a strong spirit always trumps mortal flesh. Time to Let Go is a fictionalized account of a family dealing with Alzheimer’s. The disorder gets a good deal of attention nowadays even though too little is yet known about it. Alzheimer’s poses a host of challenges, large and small, not only for those who suffer with the disease, but for friends and family who must standby, and step in, as a loved one fades away. Christoph Fischer’s book personalizes all of that, featuring a creditable account of what it’s like for families dealing with the disease. You get a sense for the toll it takes to care for a loved one with Alzheimer’s. ‘Compassion fatigue’ is a term used in the research and practice arenas where I spent some part of my life studying caregivers and caregiving. It aims to convey how vitiating it can be to care for another person, even when that care is undertaken willingly. As Fischer’s story also reveals, the aging of family members, in particular when one of them is diagnosed with Alzheimer’s, creates opportunity as well as challenge. 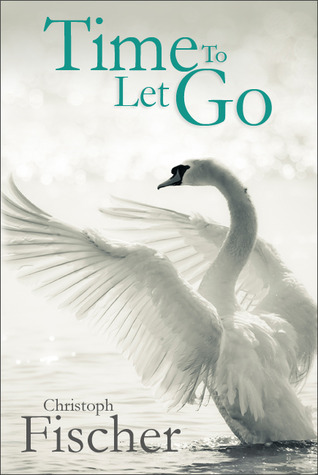 The title, “Time to Let Go,” aptly captures the theme of loss and acceptance that gets played out in the book. It might just as well have been titled “Time to Take Hold” or “Carpe Diem,” e.g. “seize the day”. An equally important theme in the book has to do with learning to live more fully in the present. That also means making the most of what the present offers, even with all its limitations. Emotionally gripping, beautifully written story. Amazing character portrayal. A must read!! This is truly a touching story. Biddy, the sufferer of a disease that is taking not only her children, husband and memories is struggling to cope with the most basic and logical of everyday tasks. Her daughter, after suffering a traumatic event at work returns home to hide from her own problems only to find her mothers state has worsened and her dad is not coping as well as he would have them believe. It is Walter, Biddy's husband, father of three that touched me the most in this story. He has im This is truly a touching story. Biddy, the sufferer of a disease that is taking not only her children, husband and memories is struggling to cope with the most basic and logical of everyday tasks. Her daughter, after suffering a traumatic event at work returns home to hide from her own problems only to find her mothers state has worsened and her dad is not coping as well as he would have them believe. It is Walter, Biddy's husband, father of three that touched me the most in this story. He has imposed rules and regulations, certain must do's at certain times to keep Biddy within a routine to ease her through this struggle, Hannah appearing on the scene makes him doubt the sense of his regiment but soon it becomes apparent that as much as Walter is trying to ease Biddy's life, these routines are for his sake more than hers. He loves his wife, cannot bear to lose more of her to this devastation and thus sets these rules up to protect them both. I loved Walter and the end of the book with the culmination of the natural order of the world coming together in a less than dramatic effect to keep the story as real as it can be really shook me. Walter lived for Biddy. Without her, he simply gave in. An interesting and thought provoking look at looking after someone with Alzheimer's. Before I talk about the quality of the writing, let me outline the story in Time To Let Go. Having witnessed an incident on a plane, Hanna Korhonen, a flight attendant, comes to realize how quickly life can be over. Which brings to mind her parents, who are almost 80 years old. She come home to them, with the hope of running away from her own difficulties at work—only to find herself facing a much more daunting problem. Her mother, Biddy, who used to be such an energetic woman, is now in the gri Before I talk about the quality of the writing, let me outline the story in Time To Let Go. Having witnessed an incident on a plane, Hanna Korhonen, a flight attendant, comes to realize how quickly life can be over. Which brings to mind her parents, who are almost 80 years old. She come home to them, with the hope of running away from her own difficulties at work—only to find herself facing a much more daunting problem. Her mother, Biddy, who used to be such an energetic woman, is now in the grip of a terrible disease that destroys the mind and that will eventually leave just an outer shell of her. The entire family is affected: her father Walter, who is courageously taking care of his wife, and her brothers Henrik and Patrick. With admirable sensitivity to the graveness of Alzheimer’s and to its ravages on the family, Christoph Fischer tells a deeply moving story. It is a complex yarn to weave, because it is underpinned by profound, hard questions. How would each one of them deal with this new, painful reality? Would they deny it or accept it? Would the progress of the disease strain them to the point of bringing about their own decline? Given their different approaches to treating Biddy, how do they negotiate a common strategy? Along the way, will the familial bond be weakened or strengthened? How do they deal with each tumble down, every time Biddy loses ground to the disease? Having put in place a rigid frame of rules, meant to brace her from further deterioration, how will they react when her mind continues to crumble? Can they hope to control her destiny? How do they let go, when it is time to do so? Finally, a few words about the cover design, which I love. Here is swan just starting to rise from the water and spread its wings, its feathers delineated diagonally across the cover. It is a dynamic, elegant icon, a symbol of the aspiration we all have to rise into purity, into our better selves. With its subtle shades of white, the design has some of the feel of The Three Nation Trilogy (the author’s historical fiction series.) However, with the cool greenish hues which infuses the entire image and the title font, this image extends in a different direction, a more contemporary one. And so does this book. I loved that this story showed the relationship of the entire family, how this disease doesn't involve just the carrier. This is a heartbreaking story but at the same time it has some wonderful moments. Biddy and Walter are both nearly eighty and have always been devoted to each other. They have two sons Henrik and Patrick and a daughter Hanna all living independently away from home. The story is about how things change and all the family is affected when Biddy develops Alzheimers Disease. We join them when Hanna, who is an air hostess on long haul duty suffers a trauma at work and decides to take time out and stay with her parents. This begins a battle with her father Walter over the best way to handle Biddy. They both love her immensely and want the best for her but both have different viewpoints. Walter has been caring for his wife single-handedly for some time and believes he has a good routine worked out, then along comes Hanna who believes more in spontaneity. While Alzheimers disease is the main thread of this book, there are family tangles needing to be unwound, hidden feelings to be brought to the surface. As the family struggle to come to terms with Biddy’s condition gradually progressing, you are drawn into their lives and begin to feel for them as individuals. Walter deals with the stress by writing family chronicles. He feels comfort in recording the families history and keeping it up to date for future generations. Hanna has to put her life into perspective, trying to deal with her personal problem in her working life while helping her dad care for her mother. Henrik does his best with advice but as he says everyone has their own ways of dealing with their feelings. Patrick appears to put his head in the sand, he is always busy and doesn’t find time to visit, however we discover he has a secret he has never shared with his dad and this complicates his own feelings. This is a book with great insight, written with understanding and feeling. The author draws the reader in so you feel involved in this family’s life. They all come to life as you read on and you find yourself wanting to help each one. I was especially drawn to the continued love between Biddy and Walter even though Biddy doesn’t really recognise Walter as her husband, it is obvious she loves him and this knowledge is buried somewhere in her lost memories. The devotion Walter gives to his wife makes you wish to weep after he has had his hopes raised that Biddy has a moment of lucidity only to realise it is only his imagination. In fact there is much to make you sad but there is a lot of love and some wonderful moments too. I have no personal knowledge of this dreadful disease but know of friends with relatives who suffer and realise how hard it must be for families to cope. Christoph Fischer has done an amazing job with a difficult subject. He shows a lot of understanding of human nature and a great deal of insight. I would recommend this book as an excellent read to everyone and feel it deserves five stars. Christoph Fischer’s newest novel is a modern departure – and if you haven’t read his historical novels that make up the Three Nations Trilogy, you’re in for a treat. But back to the book in question, and Time To Let Go not only has a magnificent cover which makes a poignant sense once you have read the novel, but also a truly wonderful, brave story. Told in his fabulous writing style and with that ease in which he portrays relationships, Time To Let Go is about Hanna the dutiful daughter who needs Christoph Fischer’s newest novel is a modern departure – and if you haven’t read his historical novels that make up the Three Nations Trilogy, you’re in for a treat. Told in his fabulous writing style and with that ease in which he portrays relationships, Time To Let Go is about Hanna the dutiful daughter who needs to go home to regroup her energies and recharge her batteries after an incident on a flight on which she was working as an air hostess. But home for Hanna does not mean peace, relaxation and healing, it means dealing with a loving though demanding father, Walter, who is the primary care giver for her beautiful mother Biddy who is suffering with Alzheimer’s disease and all of the stresses and strains that go along with that. The family dynamics in this book are very finely drawn and the reader feels a great deal of sympathy for every member, not least when the pressure is really heaped upon Hanna when a passenger decides to sue the airline. Time To Let Go is sad, but it also tells the tale of redemption as Walter unbends a little and Hanna finds her way through the maze of her life. As a reader I found the tug of war going on about Biddy’s care a real tear-jerker at times as you could see the motivation for each character’s thought processes easily, congratulations to the author for having the skill to do so. A fabulous, thought-provoking read, and as always, I look forward to more from Christoph Fischer. This book was right in so many ways. My mother suffered from dementia. Some days were fine, some not. Reading the struggle this family went through, brought me back to memories of my own. This sickness can happen to any of us and this book gives the readers a very clear picture of the pain that strikes many. Very well written. Christoph Fischer I am at awe!!! “TIME TO LET GO” is another remarkable book!!! It is the 4th book I have read by Christoph Fisher and I am rendered speechless. In this novel, the author has elegantly and brilliantly guided me through the difficult moments in the life of a British family that is trying to cope with the complexity of the heartwrenching disease Alzheimer’s. Walter Korhonen is a man full of principals. He fell in love and married Biddy, a capable, energetic and warm person and toget Christoph Fischer I am at awe!!! “TIME TO LET GO” is another remarkable book!!! Walter Korhonen is a man full of principals. He fell in love and married Biddy, a capable, energetic and warm person and together they raised 3 children, Hannah, a flight attendant, Henrik and Patrick. Walter is now retired and taking care of Biddy who is battling Alzheimer’s. Hannah is going through a crisis of her own due to an incident that took place on one of her flights. Hannah tried hard to revive a woman who was not breathing but the woman died. Her husband decided to sue the airlines for letting his wife die on their watch. Hannah is now on a leave of absence until the issue is resolved. She decided to spend time with her parents trying to get away from the phone calls and the intruding reporters. The disease has now made her mother lose focus and slowly has turned her to a confused and helpless individual. Hannah knew that her mother did not recognize her any longer, but against her fathers protests, she tried to get her mother involved in doing ordinary things with her such as cooking, taking walks, and going to the grocery store. Walter on the other hand, at the beginning of Biddy’s decline, he refused to accept the fact that her disease was progressing and something like that would definitely threaten their future together. Gradually he did consent that his wife had a clinical disease that would change their lives forever. Biddy’s decline was slowly taking pieces of Walter’s heart away, leaving him utterly heartbroken, but unwilling to let go and fighting to cope each and every day. I fell in love with each and every character in the story. I found myself clinging to the book with tears running down my face. I had been on the exact crossroad with a member of my own family. Walter’s love and commitment to his beloved Biddy was heartwarming. Against his children’s advise to put Biddy into a home where they could take care of her, he decided to stand by her for better or worse, and try to enjoy every moment while sitting on the sofa in their own home holding her hand, until he couldn’t do it any longer. The bitter-sweet title of this novel says it all. But when should one; how does one let go of a loved one? Christoph Fischer's newest, fourth, novel deals with the difficult subject of a grown woman suddenly confronted by her aged parents' frailties; they are both in their eighties. To compound her re-entry into her parents lives is the onset of Alzheimer's Disease in her mother who has turned into an uncomprehending childlike dependent. The father tries to cope with the loss of his wife's compan The bitter-sweet title of this novel says it all. But when should one; how does one let go of a loved one? Christoph Fischer's newest, fourth, novel deals with the difficult subject of a grown woman suddenly confronted by her aged parents' frailties; they are both in their eighties. To compound her re-entry into her parents lives is the onset of Alzheimer's Disease in her mother who has turned into an uncomprehending childlike dependent. The father tries to cope with the loss of his wife's companionship by overriding medical advice and adhering to his own 'common sense.' Inevitably, his stubborn ideas clash with those of his worldly daughter, herself emotionally struggling with a traumatic recent event. This is a heart-wrenching and timely book, as many of today's already overtaxed professionals find themselves pushed into a bewildering one-sided relationship with a changed parent for which they are ill-prepared. Fischer begins with his trademark factual narration, then throws the reader into the jarring world of sudden confusion and responsibility. With great insight, he guides toward an understanding how these individuals try to bridge the abyss between their worlds suddenly brought to the fore by the loss of a wife and mother who no longer remembers that she was both so capably for the most part of her life. This is Fischer's most approachable writing. As the novel unfolds, it becomes a very personal story, ending with great gentleness and eventual insight; the clock cannot be turned back - not even with love. The final understanding of the disease's inevitable progression, and tender care, are the only things left to the caretakers - in that, they must come together. It is time to let go. This FIVE STAR READ is for everyone. I would be perfectly comfortable with my teen son reading this book. Time To Let Go is a magnificently woven yarn that shows a complete understanding of human frailty in all of its characters. The superficial close knit family ties are unraveled as the characters shortcomings come to light. At the same time the characters find strength, courage and depth. It is a timeless story that in today’s global connection could really take place anywhere, using generati This FIVE STAR READ is for everyone. I would be perfectly comfortable with my teen son reading this book. Time To Let Go is a magnificently woven yarn that shows a complete understanding of human frailty in all of its characters. The superficial close knit family ties are unraveled as the characters shortcomings come to light. At the same time the characters find strength, courage and depth. It is a timeless story that in today’s global connection could really take place anywhere, using generational differences to cleverly show how tolerance and acceptance can and does change. The storyline tackles the frustration and suffering of illness from three very different perspectives; the wealthy man who feels he can control everything, the loving children of an ethnic family in the UK, and primarily the Korhonen family as they face the slow and painful loss of the beloved mother Biddy to Alzheimer’s. It is a novel about sensitive tissue of a family life and relationships and a study of human behaviour. It is a very intimate portrayal of characters, situations and particularly Biddy's illness and her family's reactions to it. The novel actually felt like I'm reading Walter's chronicles. The characters are realistic, easy to relate and understand them. I liked the way the story unravelled, although I feel the pace towards the end was somewhat hastened. I missed Biddy towards the end, but maybe that is also the author's way to indicate the "disappearance" and withdrawal of a person with Alzheimer's. This is the first novel by Christoph Fischer I read and by the way it's written, I'm interested to read his other novels as well. I stumbled upon it on its free days on Amazon and really glad I've found it. This book may be Fischer's best yet. I read it in one afternoon and literally could not put it down. Buddy is a sweet woman dealing with the effects of Alzheimer's disease. We get a sense of her views of her plight through the memories of her husband, Walter. Walter is simply devastated by his wife's illness and deals with it any way he can- even when his children don't approve. When his daughter, Hannah, comes to visit after a problem at work, his life is turned upside down, and as a result, is fo This book may be Fischer's best yet. I read it in one afternoon and literally could not put it down. When his daughter, Hannah, comes to visit after a problem at work, his life is turned upside down, and as a result, is forced to face the reality of Buddy's illness in a way he hadn't before. We meet the Korhonens family when Biddy, the mother is at a fairly advanced stage of Alzheimer's; the story starts no long before things will become unmanageable for her husband, Walter. The focus shifts between Walter and his daughter Hanna, who have two slightly different approaches to caring for Biddy. The feeling that a peaceful, 'normal' life can be easily disrupted by Fate is present from the very first pages, what we as readers do not realise at the beginning is that Hanna's life is about We meet the Korhonens family when Biddy, the mother is at a fairly advanced stage of Alzheimer's; the story starts no long before things will become unmanageable for her husband, Walter. The focus shifts between Walter and his daughter Hanna, who have two slightly different approaches to caring for Biddy. The feeling that a peaceful, 'normal' life can be easily disrupted by Fate is present from the very first pages, what we as readers do not realise at the beginning is that Hanna's life is about to face a far-reaching and unexpected twist. In the meantime, the focus shifts from Walter to Hanna in imperceptible steps. If we do not remember what we have experienced, have we still experienced it? While Biddy is now leading a happier life than at the beginning of the disease, the experience of loss of self with the loss of memory is particularly poignant for Walter, while Hanna seems to have accepted (as far as one can) the inevitable and more concerned about her mother's happiness than identity. Here lies the dynamics of a novel which does not simply deal with the consequences of an incurable condition such as Alzheimer's, but with the broader need to let go at some stages in our life, when events that we had not expected tell us that it is time to follow out fate rather than trying to determine it. Against the severity of the syndrome, which creates a veil of sadness throughout the novel, there is, however, a clear and bright positivity on this book, while rendering that very British middle class propensity for understating rather than overstating, which makes the emotional dimension of this novel even more subtle. Fate, tricky and I fathomable in it's intentions though it appears in the story, has, in the end a very benign nature at it ps heart. In this emotionally gripping story, Biddy struggles with the affects of Alzheimer's under the watchful eye of her loving husband Walter. I immediately connected with Walter's character, as I was allowed to explore the inner workings of his mind. Not only does he have a few age-related health issues of his own, his entire life has been turned upside down by his wife's condition. He has had to give up on some of the things he loves in order to keep watch over Biddy at all times. Seeing through his In this emotionally gripping story, Biddy struggles with the affects of Alzheimer's under the watchful eye of her loving husband Walter. I immediately connected with Walter's character, as I was allowed to explore the inner workings of his mind. Not only does he have a few age-related health issues of his own, his entire life has been turned upside down by his wife's condition. He has had to give up on some of the things he loves in order to keep watch over Biddy at all times. Seeing through his eyes just how difficult it is to act as caretaker for someone you love is quite moving. His love for his wife is obvious, but he still gets frustrated at times by all he has to do. His actions and thoughts seem incredibly true to life. No one has immeasurable patience, and everyone needs a break now and then. Walter's situation tugged at my heart throughout the story, and I wanted nothing more than to see someone come along and help him. Luckily, he has a daughter, Hanna. Hanna has a different approach to her mother's care. Instead of correcting her mistakes, Hanna just goes with it. She doesn't dwell on reminding her mother the things she has forgotten. The two go shopping and out to the coffee shop as if they were good friends. Hanna doesn't feel the need to reinforce who she is to her mother, who has forgotten that she has a daughter. It's a beautiful way of dealing with things, in my opinion. To me, this makes Hanna strong and secure enough in herself to allow her mother to just be happy, despite her declining health. Hanna comes complete with her own set of problems and regrets, making her a very relatable character. I am glad the author agreed for me to read this book and take a chance on my review. When I read the blurb of the book I just knew if it was written well I would love it. Not knowing the way this author writes, or even heard of him, I was hoping I would be right. My enjoyment of this book was immense. I read this in one sitting today from cover to cover. Christopher Fischer has a wonderful way of weaving a good story subject that many of us in our families either are going through or gone through I am glad the author agreed for me to read this book and take a chance on my review. My enjoyment of this book was immense. I read this in one sitting today from cover to cover. Christopher Fischer has a wonderful way of weaving a good story subject that many of us in our families either are going through or gone through or even [God forbid] go through. Alzheimer's is not good, its a horrible 'stealing' disease that equips you of no memory, or limited memory lapses, its also disabling in a 'self preservation' as each victim of the disease is robbed bit by bit of an independent life. Biddy, now she is the one with alzheimer's, a pleasant, sometimes funny character due to her illness, which this author brings out brilliantly. Her husband has always been rigid and set in his ways, and knowing that his wife has this 'problem' he thinks its best all round to keep a 'tight ships' then she will know where she is and just what to do each day, but we find that Biddy sometimes forgets where the bathroom is. Leaving Biddy alone for any amount of time is worrying. So when their daughter returns for what she calls is a 'short term' stay, she has a different way of approaching her Mother. Somewhere in between is the right way. But with the daughter's return comes problems, upheaval and things are just not what they seem. A air hostess, trained also in life saving skills, one unhappy person flying on her plan turns into a nightmare. I was pleasantly surprised with the turn in this book, it was something I wasn't expecting, for the life of me I thought it was going to be just about alzheimer's, but the unexpected twist of events brought a greeat feel to the book that hooked me into it even more. My thanks go to this author for allowing me the pleasure of reading one of his books. Christoph Fischer was born in Germany, near the Austrian border, as the son of a Sudeten-German father and a Bavarian mother. Not a full local in the eyes and ears of his peers he developed an ambiguous sense of belonging and home in Bavaria. He moved to Hamburg in pursuit of his studies and to lead a life of literary indulgence. After a few years he moved on to the UK where he now lives in a smal Christoph Fischer was born in Germany, near the Austrian border, as the son of a Sudeten-German father and a Bavarian mother. Not a full local in the eyes and ears of his peers he developed an ambiguous sense of belonging and home in Bavaria. He moved to Hamburg in pursuit of his studies and to lead a life of literary indulgence. After a few years he moved on to the UK where he now lives in a small town in West Wales. He and his partner have three Labradoodles to complete their family. Christoph worked for the British Film Institute, in Libraries, Museums and for an airline. ‘The Luck of The Weissensteiners’ was published in November 2012; 'Sebastian' in May 2013 and 'The Black Eagle Inn' in October 2013 - which completes his 'Three Nations Trilogy'. "Time to Let Go", his first contemporary work was published in May 2014, and “Conditions”, another contemporary novel, in October 2014. The sequel “Conditioned” was published in October 2015. His medical thriller "The Healer" was released in January 2015 and his second thriller “The Gamblers” in June 2015. He published two more historical novels “In Search of a Revolution” in March 2015 and “Ludwika” in December 2015.